Description: "Yeah. Honestly, you'd think the way she treats us we'd never done any of our homework, and are a constant disruption in class!" Description: "Y-yes!" Gwendolyn panted, clutching a stitch in her side, "I'm r-ready." Description: "Well, you see," Gwendolyn said. "I-I'm looking for the Grey Cloud, and-"
Description: "Excuse me," Athelda said, "it's my job to organize inspections, remember?" Description: Miss Lela pursed her lips at it. She was a highly skilled adult air faerie… and she couldn't make a storm in a jar! How did Braddah do it? Sometimes ideas just pop into people’s heads. Sometimes another writer inspired their writing. Sometimes a question asked by someone else, a ‘what if’ question, for instance, makes ideas come rolling. But what sparks your story? Description: Welcome to a grueling game of Lupe kings, Aisha queens, and Zomutt jacks. 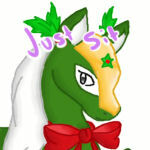 Description: Cypher sighed and looked at the maid Acara. "You wouldn't happen to know about the legend of LeMaer and the weird happenings of the hotel, would you? I have a question..."
Description: Cypher took a deep breath. "I think I'm supposed to solve it. She gave me a deliberate clue... she's trying to tell me something, but she can't! Honestly, haven't you noticed..."
Description: Cypher's mouth dropped open. "You actually believe what people are saying? You think that I'm the kidnapper? I thought you were on my side!" Description: "No. No, no, no, no! I refuse to spend my Christmas in a lousy cabin in the Haunted Woods!" Galya's cheeks were pink in anger. She couldn't believe what she was hearing! Description: A small pet's laughter could be heard from the snowy valley below. Bells jingled every time a shop door was opened or closed. The green, red, and white lights reflected off the perfect ocean and onto the ships that were docking. Such a lovely morning... so why was she troubled? Description: Luther didn't look offended at all. "Oh, I'm not even paying. It was Griptor's gift to me, for services to the hotel. Two weeks in Terror Mountain! A warm suite in the Mountain Lodge!" Description: Cypher and Luther were sitting in the slushie shop, each with a Holiday Slushie, poring over their only clues. "Laughter and moaning," Luther muttered. "Laughter and moaning... I don't get that part at all!" Description: "You fell off the mountain, didn't you?" the Pteri gasped. "Man, you're one lucky Cybunny..."